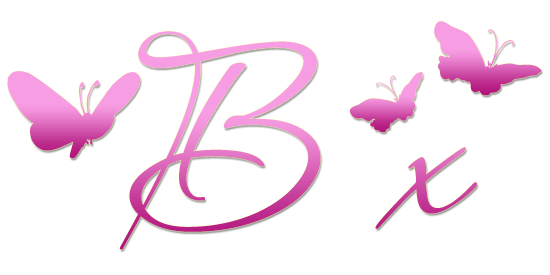 Rather belatedly here are our February winners, so very sorry not only to be late posting but also for not being able to access Blogger to visit many of your entries, I have had major computer problems most of the month so I want to say an extra special thank you to the DT for keeping things ticking over. Congratulations to you all, please mail me so I can arrange for your prizes to be sent............please don't fret if I don't get right back to you as the restoration to normality of my computer is ongoing !! I will be back Sunday with our March challenge - Blogger and Computer willing. Good morning to you all, I am just popping in with a reminder that there is still time to enter our February Anything Goes challenge, as always plenty of fabulous prizes to be won and as you can enter three times, so three chances of winning. Using Product #30-269 "So Very Much"
I hope you enjoy looking at the DT's cards as much as I always do, it's always a treat to see what they come up with each time. Penny Black invite you to explore their creative world and see for yourself why their rubber stamps, stickers, beautiful papers for scrapbooking, cardmaking and stamp crafting are everyone’s favourites. 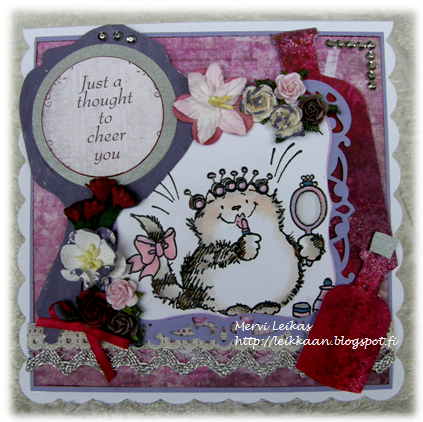 Penny Black products are designed to integrate style and colour for creating the best handicraft projects ever. 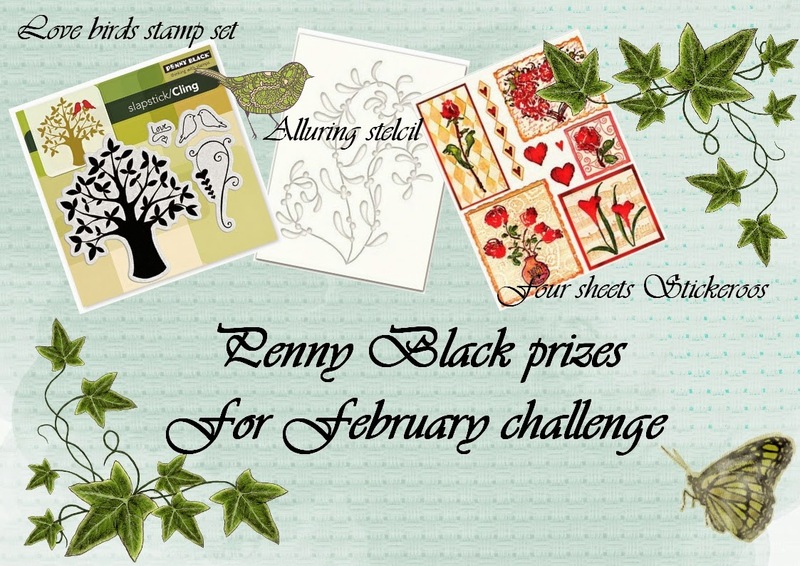 If you would like to be one of the first to hear about new products from Penny Black please click here to join the free club, plus their Facebook is full of activity and news. 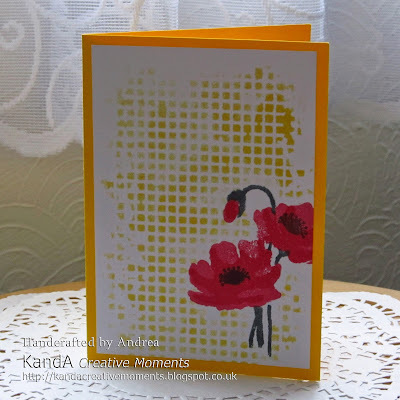 We welcome another new sponsor this month, Kraftyhands who are renowned for their easy to use crafting CDs covering a wide range of occasions which can be used for cardmaking, scrapbooking and home decor projects. 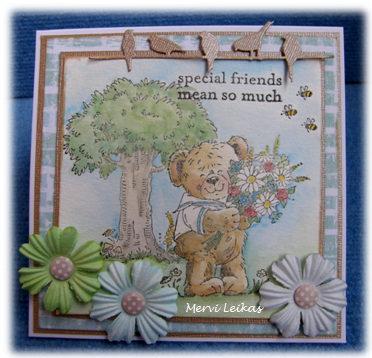 They also design many paper craft resources from 12x12 & 6x6 backing papers to card making sets and toppers. 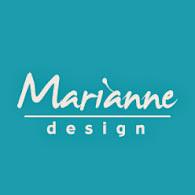 They have showcased their products on Create & Craft and will be appearing on the new British Craft Network Internet TV channel in October. Their website address is www.kraftyhands.co.uk. 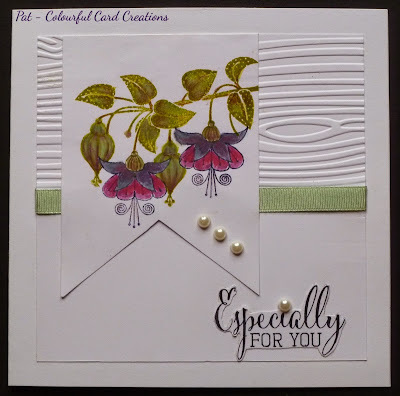 using Penny Black No. 40-103"Delicate Florals" and No. 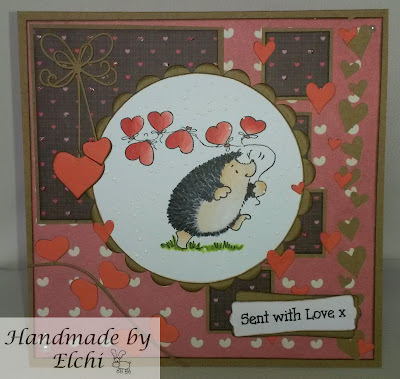 30-269 "So Very Much"
Using Penny Black's stamp "primp 3965K"
Good luck to you all, we looks forward to seeing your lovely entries.